Suit vests are cooler now than they ever were. Vests, or waistcoats as they are sometimes called, were once the go-to accessory for businessmen and corporate lawyers. Now though, today’s trendsetting youth are embracing the look in a whole new way. But if you’re going to wear a vest you need to get it right. If your vest comes with a set of a three-piece suit, obviously you’re going to wear that together. But if you’re not, then you got to make sure your vest is a star of your current appeal. Otherwise, you run the risk of appearing stuffy and dated. 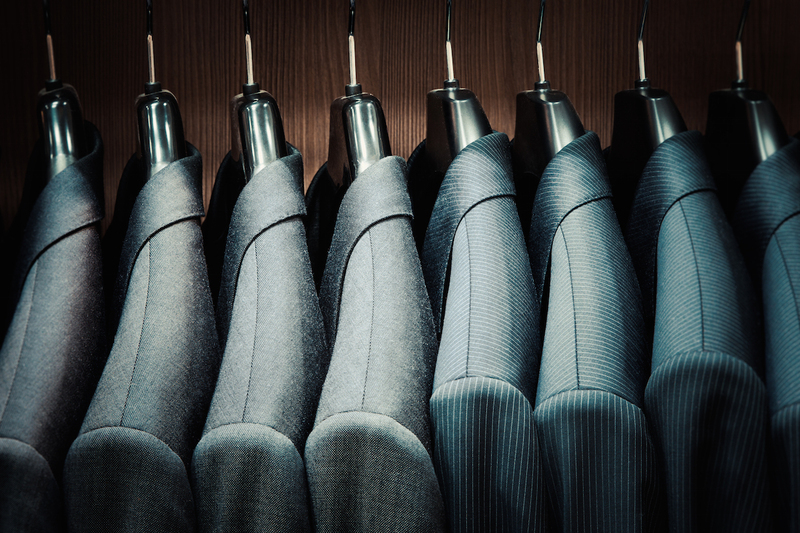 As with all clothes, the proper fit is important for two reasons: comfort and appearance. A lot of men claim they hate wearing suits because they feel uncomfortable. What they don’t realize is this discomfort isn’t caused by the nature of the clothes. It’s because the suit fits badly. A suit vest, and indeed your entire suit, should feel so comfortable you could almost forget you’re wearing it. A well-fitting outfit will always make a good impression. You’ll look organized and trim, and you’ll come across as professional. 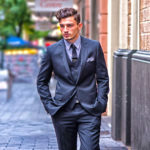 If your suit is too big, you will look disheveled, and possibly older than you really are. Too tight, however, and you will look as though you’ve gained weight or have borrowed someone else’s clothes. 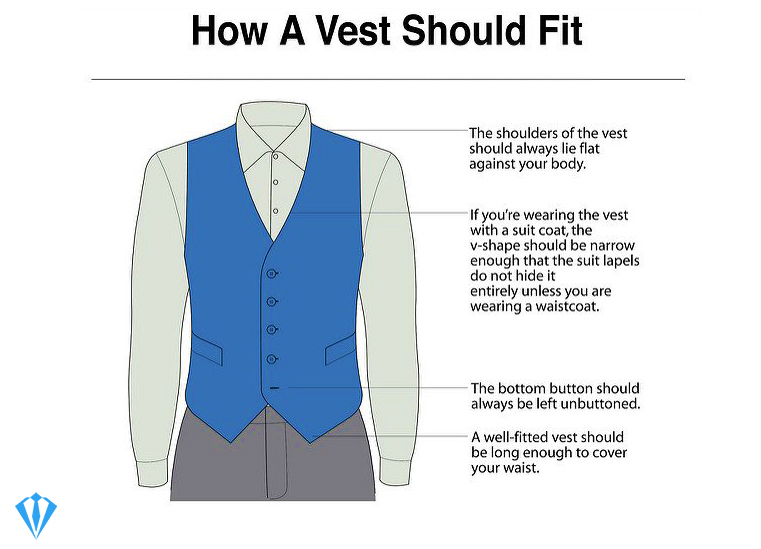 How Should a Suit Vest Fit? Starting at the top, ensure that the shoulder seams lie flat against your body from neckline to shoulder. The V of the neckline should be narrow so it’s not hidden by the lapels of your suit jacket. The lower front hem needs to be long enough to cover the trouser waistband. The sides and back of the vest will be shorter than the front, but make sure your shirt does not puff out from beneath the hem. Always tuck your shirt in to prevent this. Finally, as a nod to tradition, leave the last button at the bottom of the vest undone. It’s not unusual for a man to have a couple of mismatched suit vests in his wardrobe. The problem is, what to wear them with? The good news is that these seemingly surplus vests are great for creating eye-catching color combinations. 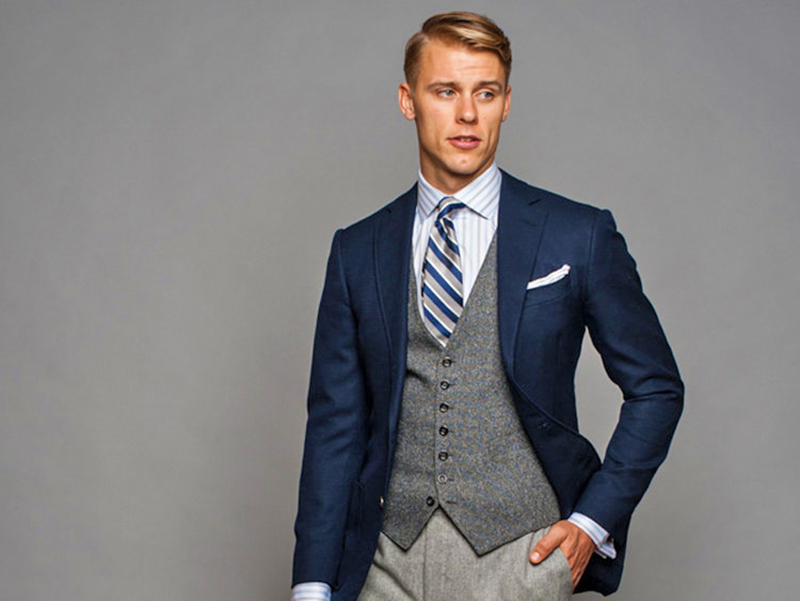 A contrasting vest can change the look and feel of a suit entirely. A white vest, for example, works well when worn with a darker colored jacket. So too do sand, beige, or light grey vests. Wearing a suit with a different color vest immediately makes you look less formal and less intimidating. It can also be helpful if the vest color is in some way linked to the rest of your outfit. A navy vest with a subtle red stripe, for instance, can be matched with a navy suit and red tie. The effect is a combination of casual cool and underlying elegance, both at the same time. A black vest is extremely versatile. It goes well with several looks, from formal to almost casual. For the most formal look of all you should pair your black vest with a black suit. This is ideal for formal occasions, funerals, and even weddings. 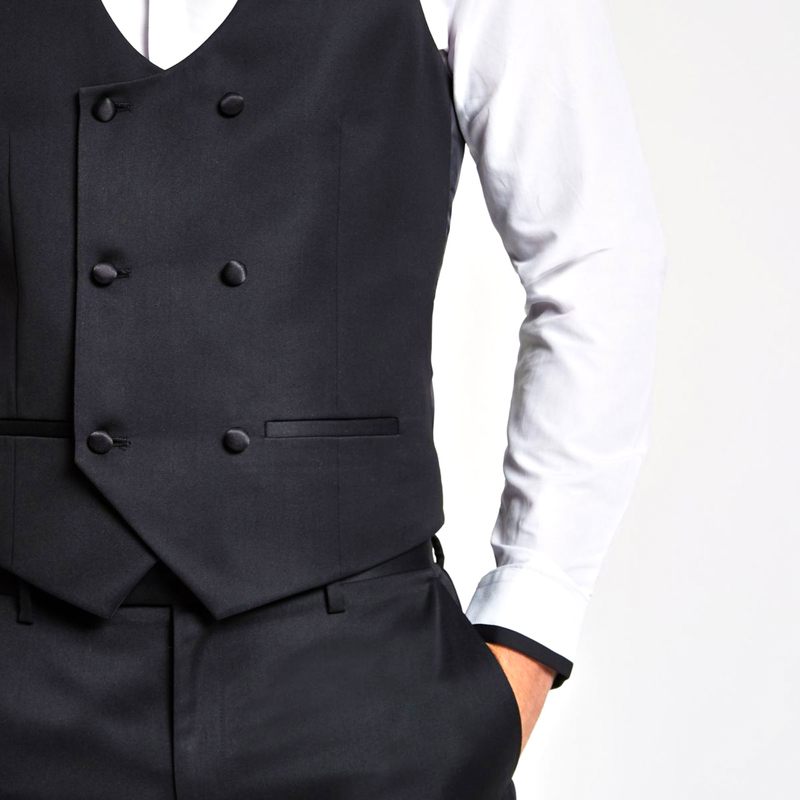 At the other end of the fashion spectrum, your black waistcoat can also create a relaxed and comfortable look. Simply wear it with casual, black trousers, a light blue chambray shirt, and black or brown leather boots. You can wear a black waistcoat with casual, charcoal grey trousers, a light blue chambray shirt and brown leather boots. Alternatively, wear it with a navy suit and black shoes. Add a crisp white shirt, and you’re good to go. A contrasting red tie would look great here, too. You can also combine your black vest with charcoal grey pants, but avoid wearing a jacket. A grey waistcoat and pair of well-fitting black trousers or jeans are investment pieces every man should own. Grey goes great with navy, black and red. These colors suit most men, but if red is not your color then swap it out for another contrast. Combine the grey vest with matching grey pants, but wear a dark navy jacket over the top. Alternatively, mix the grey vest and black jeans but leave the jacket at home. This look is perfect for autumn days when you can get by without wearing those extra layers. A brown suit vest doesn’t just pair with its original brown pants and jacket. Brown combines very well with blue as well. Try navy pants with a lighter, blue dress shirt, along with the brown vest. Add dark brown shoes and pull it all together with your tie. 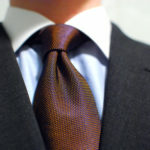 Pick a tie that has a navy background, brown accents, and perhaps a few contrasts of an even lighter blue. If you want to wear your brown vest in a completely different way, find a pair of well-fitted blue jeans. Add a pair of brown leather shoes and don a white, open-neck shirt. Finish the look off with your brown vest and matching jacket. Casual? Sure. But darned stylish too. Wearing red in anything larger than a tie takes confidence to pull off. If you’re a shy, unassuming character then you might want to steer clear. We suggest toning the red down to a burgundy rather than going for a bright cherry red. Unless, of course, you intend to make a real impact. 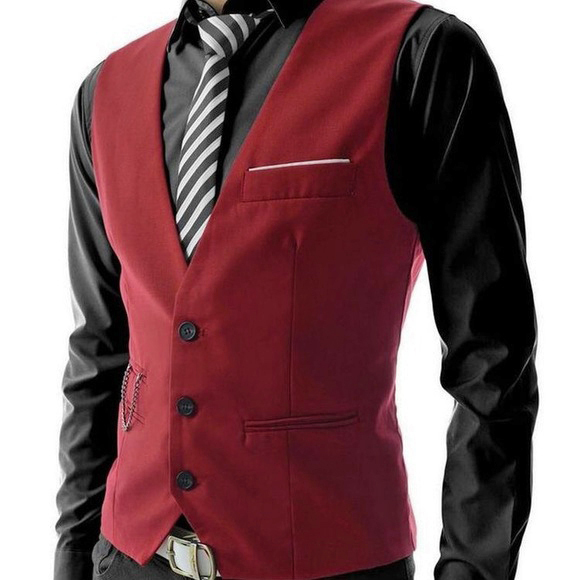 A red vest with a black or charcoal grey check throughout is attractive and eye-catching. Pair it with plain black or charcoal trousers and matching jacket. 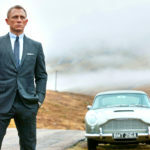 The most formal occasion where you will always need to wear a vest is the so-called black-tie event. 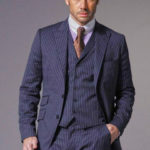 In this case, your vest should have lapels and be manufactured from the same fabric and color as the rest of your suit. 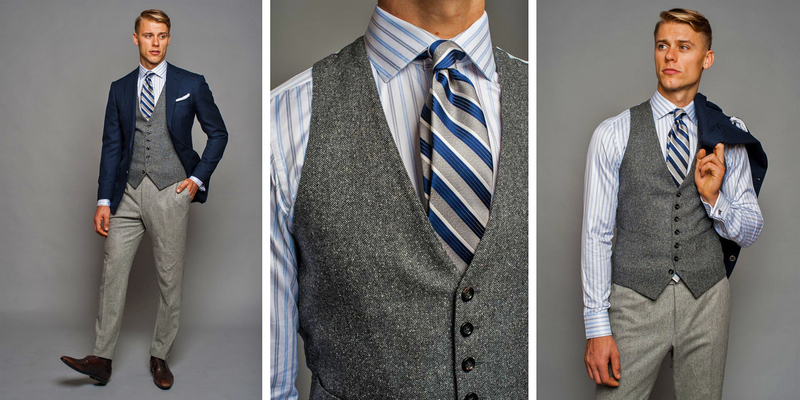 If you prefer a contrasting vest and suit, be aware that this look is only suitable for the more informal occasion. A vest is useful for adding an extra layer of warmth on autumn days where a two-piece suit just won’t keep out the cold. However, you need to know that this look is considered inappropriate for most business settings. If you’re headed for a job interview, it’s probably best to leave the vest at home. 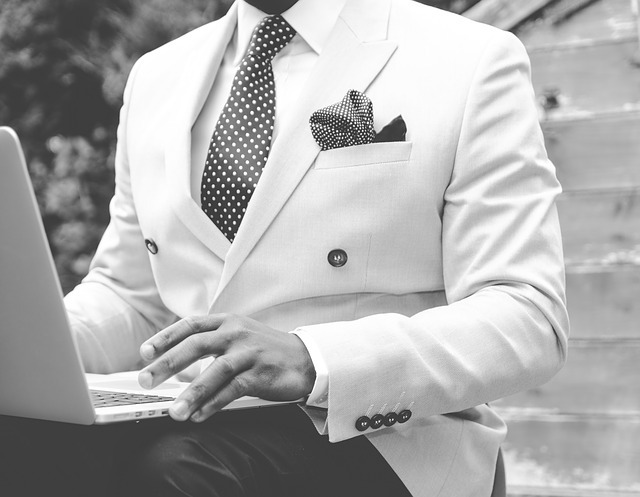 A simple two-piece suit combined with an unobtrusive tie is usually enough to convince HR of your dress sense. And the last thing you want is to appear overly flamboyant. 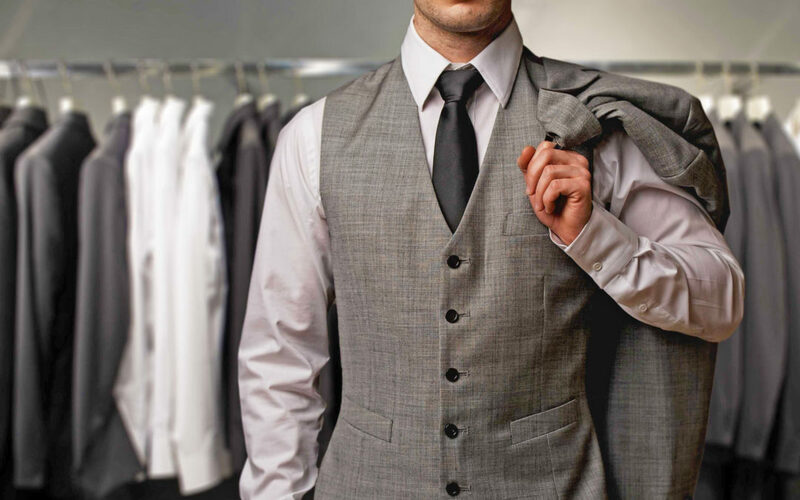 By following these basic guidelines you can be confident you’re getting the best wear from your suit vest. Remember that waistcoats or vests can become versatile components in your wardrobe, and they look amazing when done right. Just take a look at the Italians. They’ve totally mastered the look. And so too, can you.